No. 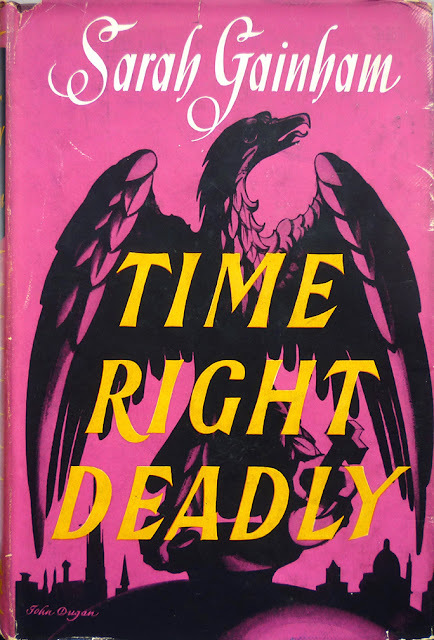 10 in a series of posts on books I've bought but haven't got round to blogging about properly – indeed may never get round to blogging about properly – so this will have to do. 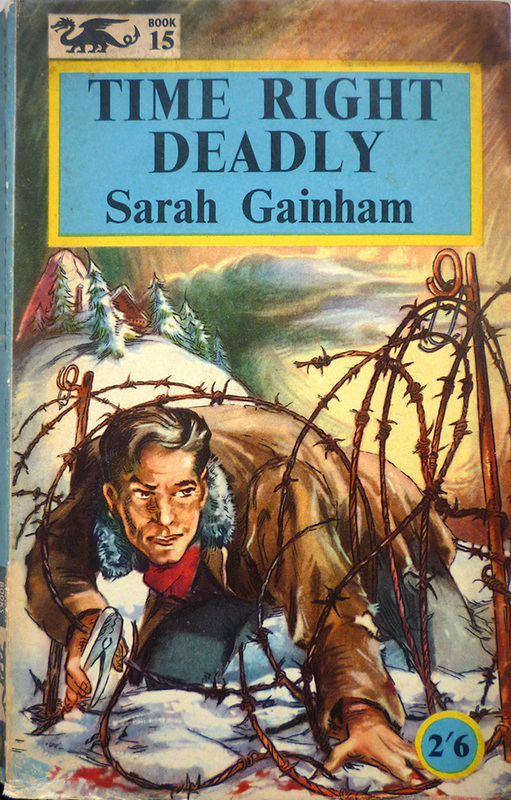 NB: linked in Friday's Forgotten Books, 6/6/16. 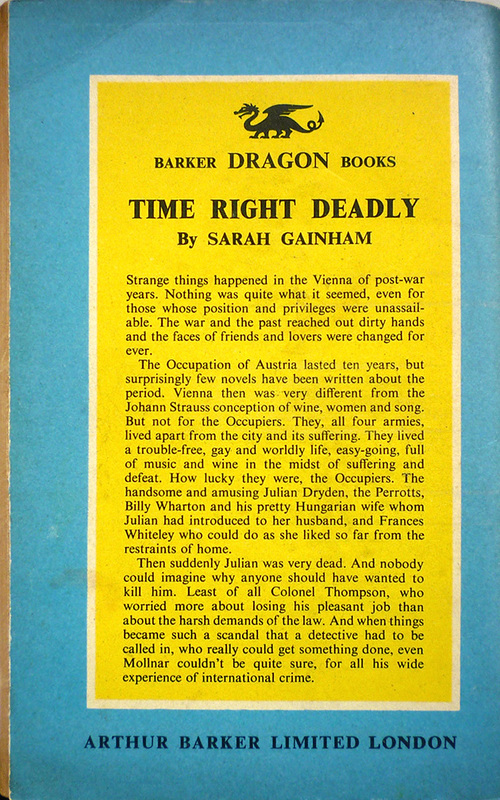 The 1957 Arthur Barker Dragon paperback edition of Sarah Gainham's debut novel, Time Right Deadly, originally published in hardback by Barker in 1956. 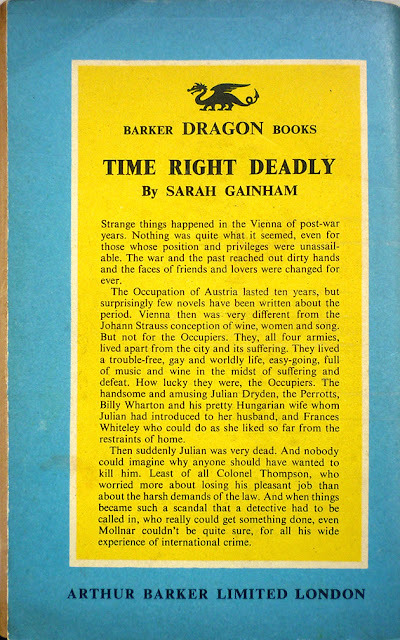 As I mentioned in this 'books I've bought but haven't got round to blogging about properly' post, I'm interested in Sarah Gainham's early spy novels – not least because she herself was a spy – and Time Right Deadly is the earliest of those early spy novels, being, as it is, her debut. 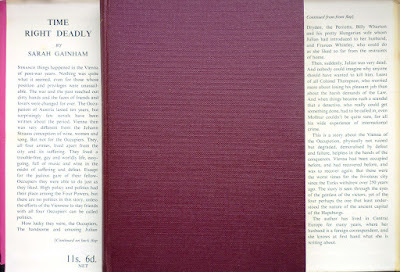 It's also extremely uncommon in British first, hence why I bought this paperback rather than a first edition... although during the course of drafting this post I noticed, whilst double-checking online that it is still uncommon in first, a first edition for sale, modestly priced, and best of all still in its splendid John Dugan-designed dust jacket. (The scant few other British firsts I've seen for sale online have been sans jackets.) Naturally I snapped it up. 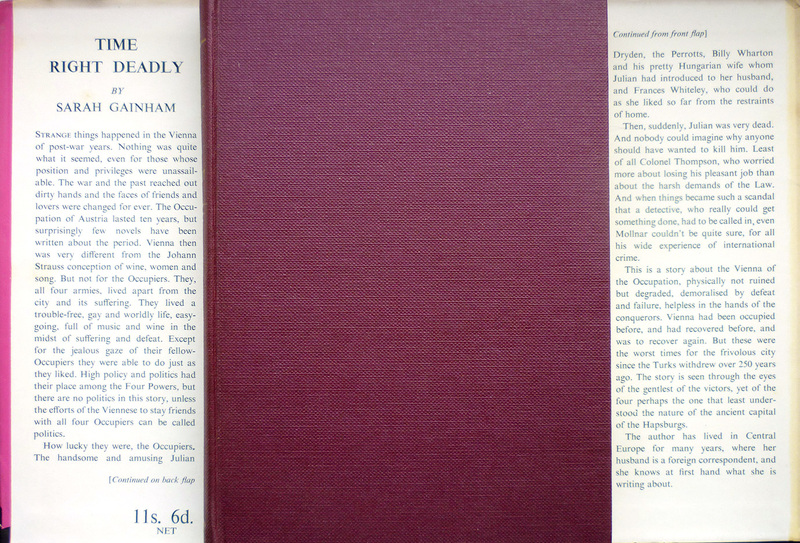 Will I be updating this post as soon as I have that aforementioned first edition in my clammy hands? The 1956 Arthur Barker first edition of Time Right Deadly, dust jacket design by John Dugan (said dust jacket now added to Beautiful British Book Jacket Design of the 1950s and 1960s). 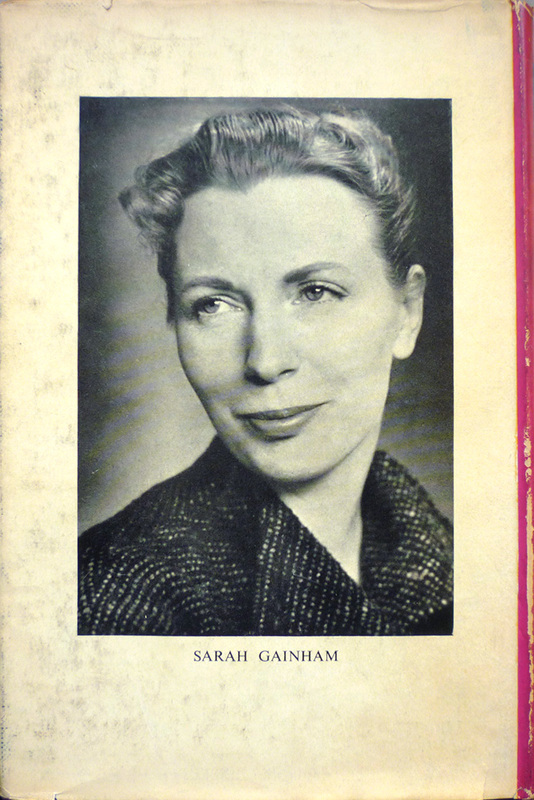 Best of all, the back of the wrapper boasts a photograph of Gainham – only the second one I've ever come across.